AUGUSTA, Maine — Maine Republican Party Chair Demi Kouzounas won re-election on Saturday amid a leadership challenge that came after steep losses for the party in 2018, when Democrats won the governorship the 2nd Congressional District and legislative majorities. Kouzounas, a dentist from Saco, won her second term as party chair on Saturday over former state Rep. Heather Sirocki of Scarborough in an election among members of the party’s state committee at the Senator Inn and Spa in Augusta. Her election likely means that the Maine Republican Party’s core staff — led by executive director Jason Savage — will stick around through 2020, when Republicans will try to protect President Donald Trump and U.S. Sen. Susan Collins from Democratic challenges. 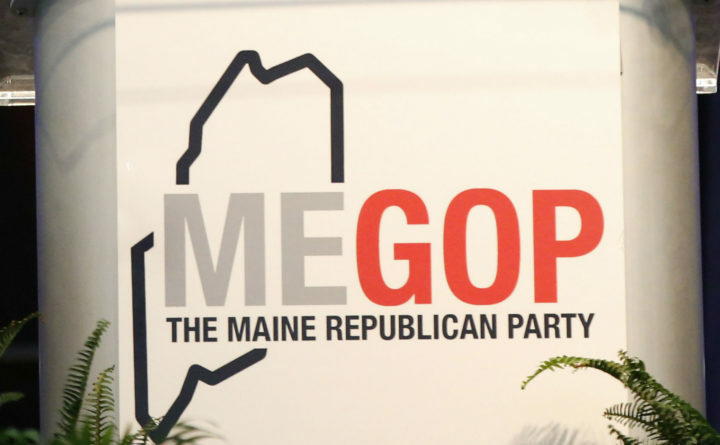 Republicans in Maine were outgunned financially in 2018, with Democrats and their allies spending nearly $14 million more on state and federal races. Kouzounas told the state committee in a December email her re-election would allow the party to get a “running start” for the 2020 election. She seemed to want to mold the party more in the likeness of Trump, saying he is “telling us how to win” and the party had been “too nice” and not fought Democrats and their allies aggressively enough during her tenure. That was a likely reference to former Gov. Paul LePage, who backed Kouzounas for her two terms as chair. LePage’s endorsement email to the state committee was critical of the Republican caucus that Mason helped lead, saying LePage was “blackballed” by them. Waterville Mayor Nick Isgro won the party’s vice chair spot — which hasn’t been a visible position — with no opposition on Saturday. He won a June 2018 recall election after tweeting “Eat it, Hogg” to a survivor of a Florida school shooting who became a gun control activist. Maine Democrats will pick a new leadership team on Sunday afternoon in Augusta, with Kathleen Marra of Kittery running with Gov. Janet Mills’ backing against Melissa Sterry of Augusta to replace outgoing Chair Phil Bartlett.